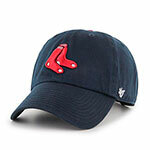 Adjustable 100% garment washed cotton twill Red Sox cap with raised pink B emblem. 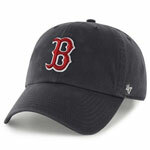 Hat adjusts size with sliding strap. Label of pink hanging sox in back.